After using the pestle and mortar for the Gado Gado dressing, I realized I don’t use it enough! 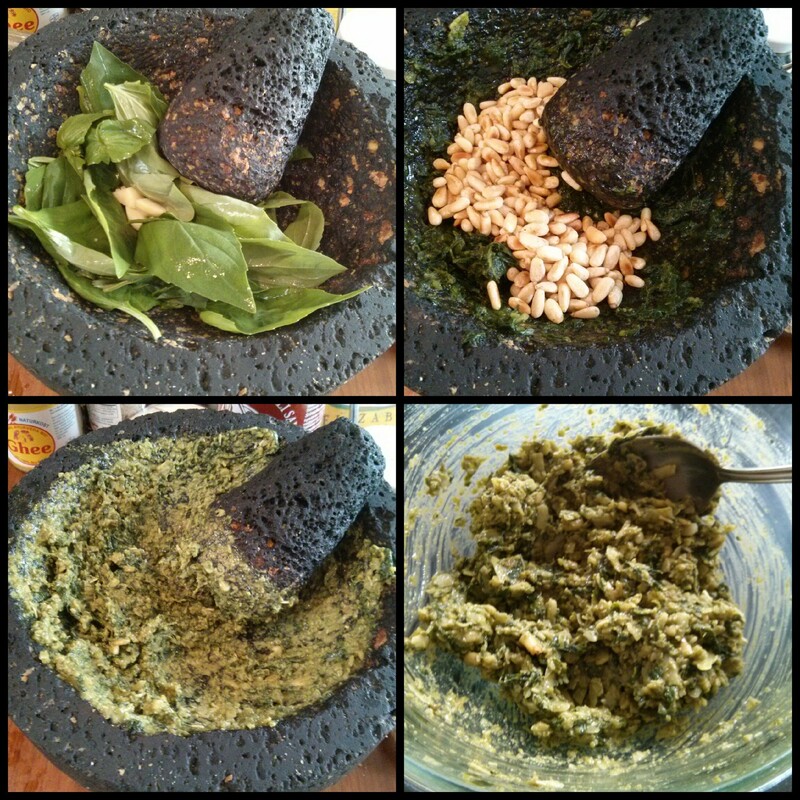 When I think of the cooking tool, the first dish that comes to mind is pesto – and I’d never tried it before. Surprisingly, maybe just to me, pesto is easy to make. Really. I served Jamie Oliver‘s basic pesto recipe with white fish and pasta. Delcious and simple flavors!